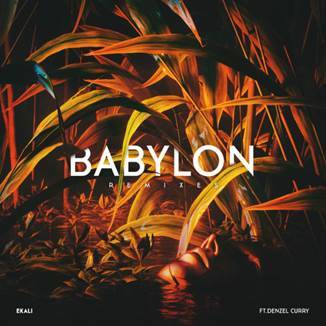 Ekali shares three new remixes of his latest track “Babylon” featuring Denzel Curry today on OWSLA/Big Beat/Atlantic. The song quickly earned over 3 million streams and is featured prominently in the NBA 2K18 trailer which earned over 3.5 million views on its own. For the “Babylon” remix package, the Canadian producer assembled a formidable tag-team across three different mixes. Skrillex and Ronny Jteam up for a boneshaking remix with some signature Skrill sound design, Sober Rob and Oshi bring a brighter jazz influence to the track, while Josh Pan and X&G dip into more experimental club music. Stream all three remixes below and catch Ekali on the road across North America from November 1st to December 23rd (full tour dates below).